Where incomes are low and jobs rare, it is often tempting to resort to methods that exploit obvious natural resources, including mining, forestry, industrial agriculture and large-scale dam projects. Indeed, this has been the strategy of many development organizations and governments since the beginning of the industrial revolution right up to the present. Unfortunately, too few of these projects consider the importance of these resources where they already are: for water purification and absorption, soil stabilization and nutrient retention, as the homes of important plants and animals for food and medicine, in regulating local and global climate systems, and for creative human cultures engaging with diverse natural environments. As we have come to greater awareness of these functions as a source of enormous wealth, as well as a necessity for survival, development practitioners have been forced to re-imagine their ideal of a developed society and how to get there. 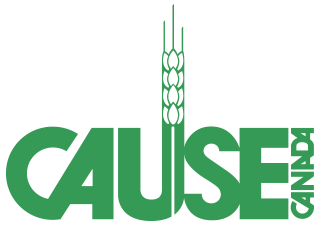 At CAUSE Canada, we have articulated our vision for a just and sustainable world in our organizational policies, our overseas programming, and our work at home in Canada. CAUSE Canada understands environmental responsibility to be a cornerstone for building just and sustainable societies. This understanding leads in two thematic directions: first, avoid instigating or exacerbating environmental problems and, second, initiate and promote solutions for environmental rejuvenation. This is why CAUSE Canada focuses its work in rural regions where it is able to provide counterincentive to urbanization – a trend with enormous social and environmental implications. It is why CAUSE Canada will not undertake any project that causes obvious environmental harm. It is also why CAUSE Canada implements programs that promote biodiversity, organic agriculture, reforestation, and sustainable farming and forest management to address problems of land degradation and climate change. Because the environment is central to a peoples’ capacity to improve and sustain their livelihoods, even healthcare, education, peacebuilding, and income-generating initiatives must be assessed according to their environmental impact. After all, a project that increases income but destroys a community’s clean water source does not improve overall quality of life. It also undermines other development efforts, which then become more expensive, more difficult, and more time-consuming. Other CAUSE projects are not specifically oriented to address environmental needs, but include important environmental considerations. For instance, the Sierra Leone Birthing Huts Program utilizes local building materials, while the Community Oxen Project promotes the use of traditional animal power to increase agricultural yields without resorting to industrial inputs. Also, in all gravity-fed water projects in Central America, the project beneficiaries are required to include a reforestation component within the program. In the case of Primary Health Care projects in West Africa, the cleaning up of the village, the cleaning up of the immediate area surrounding the village’s water source, and the elimination of all stagnant pools of water in the vicinity of the village are considered to be essential components of every one of our Health Care projects. These and other CAUSE Canada projects address environmental needs in ways that also increase incomes, improve food security, and promote women’s empowerment. CAUSE Canada also recognizes that how we run our operations in Canada has global implications. We work hard to reduce our paper and electricity use, recycle everything that can be recycled, use post-consumer papers, and bike or carpool to work. We also reach out to the Canadian public to contribute to a more just and sustainable future in our public engagement initiatives and special events. CAUSE Canada has been an organizer of the Canmore and Red Deer Justice Film Festivals which have featured important films highlighting local and global environmental and social issues. In addition, the environment is central to our public engagement project Bringing the MDGs to Life, which uses participatory theatre and games to introduce Albertan students to the Millennium Development Goals. Our biggest environmental initiative here in Canada, however, has been our annual Canmore Rocky Mountain Half Marathon. By instituting no-waste start and finish areas, online registration, 100% organic cotton shopping bags and bamboo socks instead of t-shirts, compostable cups, and a rideshare program for participants, the 2008 CAUSE Canada marathon diverted 82.7% of its waste from the previous year to recycling and composting. As a result, Runner’s World Magazine ranked the Canmore Rocky Mountain Half Marathon one of the Greenest in North America! And ours was the only race to direct all proceeds to international environmental programming. The green initiatives first instituted in 2008 are constantly being expanded, making each race our greenest yet. Our race medals are made from 100% recycled glass by a poverty mission in Eugene, Oregon, we use support bikes instead of vehicles, serve only locally-baked goods and BC fruit, and this year our runner’s swag will include a tree seedling. In 2010 we reached 90% waste diversion, and in 2011 increased that ratio to 95%! Visit www.canmorehalfmarathon.ca for more information.